^ Clout as a Congressman, and bi-partisan co-operation — Mike Capuano (2nd from left; Somerville May.or Joe Curtatone to his left, ground-breaking the Green Line Extension., whose funding he was instrumental in securing, with Governor Baker and many local electeds. Note : this column is my personal view. 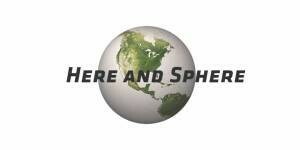 It is not a formal Here and Sphere endorsement. In that decision my editing and writing partner Heather Cornell has an equal voice. Sometimes we forget what election campaigns are about. The campaign has its own custom, a free for all of advocacy, charges, counter-charges, debate, organization, turn-out. All of which excites me and thousands like me. Yet the campaign is actually a job interview, if you’re new, or a performance evaluation if you’re already in office. — but the actual job, be it Governor or State Representative, Mayor or Congressman, Councillor or State Senator, has a job description (you can find them in State Constitutions and statutes governing the duties of an office), and it is that, the job, that happens once the campaign is over. ( 2 ) long tenure of Congressional office as a basic strategy. Massachusetts voters have always understood that the surest way to give our smallish Congressional delegation maximum influence is to keep re-electing t.hem for the sake of all the clout that long tenure accords. This strategy has served us well. regardless of which party controls Congress, our long-serving delegation gets its way on all sorts of matters, from Federal dollars to our defense and sciences industries, disaster relief, transit upgrades, and our long coastline, all of whose issues are subject to Federal jurisdiction. ( a ) We in greater Boston depend upon the service we get from railroads and MBTA transit : their upgrade and maintenance, extension and hours of operation. Federal dollars provide a significant amount of these costs — it’s right there in the Federal statutes governing transportation operation. ( b ) Pipelines : ask the people of West Roxbury and Roslindale whether pipelines and their location are not enormously important. Moreover, gas pipelines generally are being questioned, given the need to convert so much of our energy needs to clean power. ( c ) Hazardous materials come into our port of Boston on LNG ships every day. We have strong state laws governing road transport of “hazmat,” and the Department of Environmental Quality is loaded with work overseeing site clean-ups. Federal oversight is often required. Back in May I was at a large-attended meeting of the South End Community Board. On the agenda was a problem the neighborhood’s 02118 zip code was having with its mailboxes. On hand to answer people’s questions were three (3) postal officials. Not one, not two, but three, including the District Director. They answered questions for a full hour. I have never seen a postal official at a neighborhood meeting. Never. But Mike Capuano was able to get three of them to an after-hours meeting and stand there answering questions for twice as long as intended. —– She is a woman and a woman of color in a District whose population is majority minority. Here we have an identity politics argument : that people can only be represented by people who look like them or have the same anatomy. I reject this argument root and branch. It is a kind of apartheid argument that diminishes a nation dedicated to the equality of all. —- “time for fresh leadership” — to which I respond : Why ? As I’ve pointed out, what we want is the exact opposite. We benefit from long tenure and the committee chairmanship it now earns. —- #changecantwait —- I saw this in a facebook discussion yesterday. I’m not a fan of hashtag politics, but I’ll accord this one a full response. The slogan has two components. The change component, I answered above. As for the “can’t wait” part, my view is that change must indeed wait. Reform must have patience. Impulsive change often gets it wrong and almost always entails unintended consequences we’d rather have avoided. In a complicated government arrangement such as ours, the only path to change that ( a ) lasts and ( b ) minimizes potentially regrettable after effects is to take our time. One consensus step at a time sure does beat a tidal wave of instant overturn. To all of the above reasons why I support Mike Capuano I’ll add another : bi-partisan co-operation for the betterment of all the voters. Electeds of different political p;arties working together is how democratic reform gets most effectively done. Together with Governor Baker, with whom he maintains a relationship of mutual deep respect, Mike was able to win the billion dollars needed to complete Green Line extension funding. Extending the Green Line will greatly boost the business prosperity (and thus the good jobs) of Somerville and Medford and probably of Malden, Melrose, and Everett besides. Resolving the myriad transit and commuter-rail upgrades that remain to be completed, the Baker and Capuano relationship is a distinct asset as we move forward. Moving forward is the operative phrase here. Elections are about the future, and a future that includes Mike Capuano’s best is well worth re-electing him.